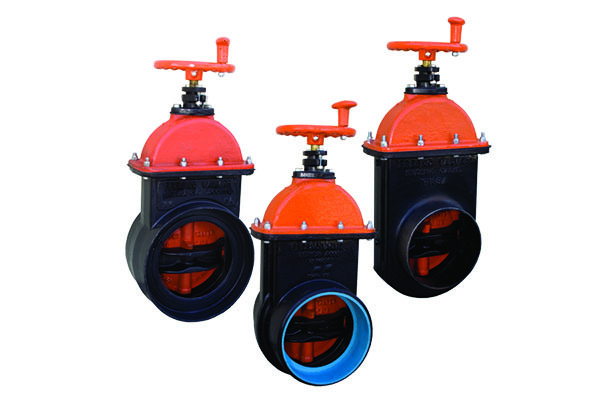 The Series 4000 Line Gate Valves are in-line gate valves used to shut off and regulate distribution lines, at pumps and in field irrigation systems. Precision machined seating surfaces provide watertight seal. Bronze lift nut and stem ensure smooth operation and corrosion resistance. Heavy-wall cast iron construction for lasting performance. Removable bonnet allows easy access to internal components. Single center wedge design distributes uniform pressure across seat. Non-rising stem with leak resistant packing gland. Available in sizes 6" through 24".